Spending ban, what’s that? Don’t worry I’d never enforced such a thing on myself either until I was in a position to start ‘properly’ saving for a house. YES, YES, YES. I’m only a few weeks away from moving into my dream home now and it has 100% been worth my sacrifices over the last few months. Firstly, who knew it could be so expensive? If I wanted to get myself into gear at the end of last year I knew I had to make drastic attempts to curb my spending habits. Try explaining to your mortgage adviser whether the 3 ASOS orders in one month on your bank statement were a regular occurrence. What would I say? Oh, don’t worry about that, just trying to get myself up to the next level of ASOS A-List?! I wish I had been told before how invasive lenders and advisers can be when you’re in the process of buying a house, but luckily for me those 3 ASOS orders didn’t affect anything. BUT it did give me a wake up call and make me realise just how much money I had been spending on clothes each month, eek. I’ve been strict with myself and done 3 whole months of maybe purchasing one item of clothing. For a self obsessed shopaholic, I think I deserve a clap on the back for this one. People fear the term ‘spending ban’ and I used to think it was a waste of time, but honestly, it’s a short term thing and guess what? ASOS and everywhere else is still going to be there afterwards, pretty amazing right? 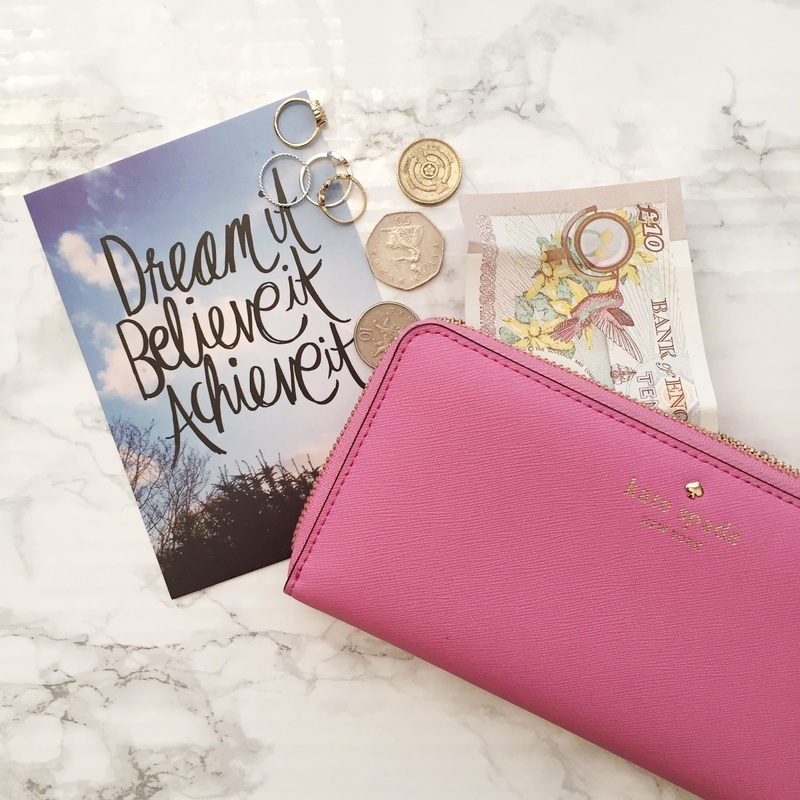 Whether you have something big to save for or feel like you’re sacrificing your weekly food shop for the latest mac lipstick, these 6 tips will help you save plenty of dosh in no time. I usually start with the amount of money I want to save each month, this is obviously the key reason for deciding to put yourself on a spending ban. You can then work out how much money you’ve got left over for the rest of the month and divide this into your rent, living expenditure, food and any other outgoings such as mobile bills. You may even be lucky enough to have a little bit leftover for those occasions in the month that you need to reward yourself for doing so well. #3. Avoid The Shops – Sounds logical, but avoid the shops. I am the worst for going in town for one thing and returning with a kitchen sink, that I definitely don’t need. I’m an impulse shopper so if I see something I like at that time I get it straight away without a moments thought. In the past, this is why I end up with a lot of clothing that I only wear once! #4. Make Use Of What You Have – Hence last weeks Shopping My Wardrobe outfit post, I have been trying to make the most of what I have so I can justify to myself that I don’t need to buy anything else. Having a clear out also helps you to see wood for the trees and actually see what items may be lurking at the back of your wardrobe that you’ve never worn. The same applies for makeup products, we all have at least 56789 eye shadow palettes, yet we continue to keep buying them. I guarantee that from shopping your stash you’ll find some amazing things you’ve forgotten about. It definitely makes you appreciate more of what you already have, and stop yourself from buying another striped t-shirt to add to your 100 + collection. #5. Make Sacrifices – but remember you still need to have a life. This is so important when you’re saving, yes buying a house may be the most important thing in your life right now but your health and well being is more important, and saving will be so much easier if you remember this. But unfortunately for any type of spending ban, sacrifices have to be made. Whether that’s cutting out the daily coffee you get from the work cafe, or stopping those unnecessary weekly trips to Boots and Mac for the latest lippy. I see all of these things as non-essentials that YOU can survive without. In my eyes, it’s the unnecessary expenditure which separates anyone from their end savings goal. #6. Reward Yourself – If you’re a fan of Freudian studies, you’ll know that by social association, when we do good things we may get a reward for that. Set yourself small targets throughout that month and set small rewards for achieving them. Whether that’s rewarding yourself with a tea and cake outing with a friend if you last 2 weeks without buying anything non essential, or having a luxury purchase in mind that you’ll reward yourself with when you reach that end goal. Nothing will work if you don’t have an end goal or some kind of reward in mind at the end, life really is too short for that -and it definitely gives you something to work for! Spending bans don’t need to be a life sentence and scary, if I can stop myself from my frivolous spending habits each weekend then anyone can! Make healthy changes to your lifestyle and your bank balance will love you for it! Have you got any other tips? Have you done a spending ban before?